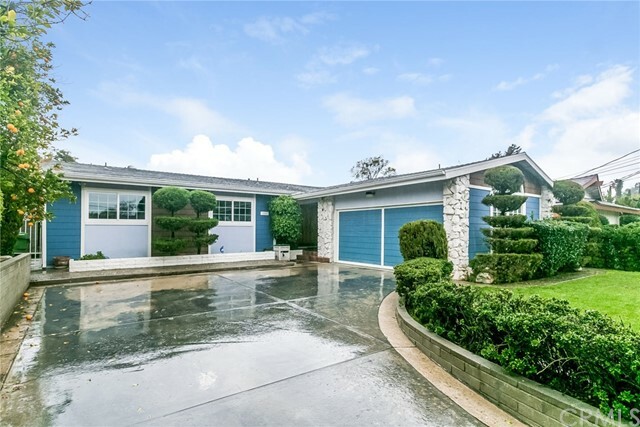 Welcome to 16852 Superior, this four bedroom, three bath home is located in a superb neighborhood and features a bit of mid-century modern cool! The entry, through beautiful double doors, delivers you into an open and bright space that features sunken living and family rooms. A brilliantly designed floor plan, vaulted ceilings, and clerestory windows, make the home feel expansive and roomy. Original hardwood floors in the bedrooms and hallways add to the character and design. Many of the rooms and hallways have crown molding, chair rails, and detailed wood accents. The master bedroom includes an en-suite bathroom with a Roman tub you don’t want to miss.